Each year many individuals become either permanently or temporarily incapacitated making them unable to speak with their doctor or make medical decisions for themselves. 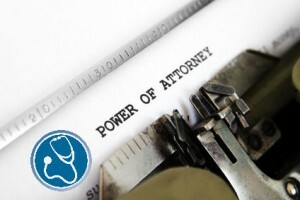 A Durable Health Care Power of Attorney (also known as a Health Care Proxy) is a document in which a person (called the Principal) can appoint another trusted person (called the Health Care Agent) to act on their behalf in making medical decisions when they are unable to do so. It is called Durable because it will remain effective even after the Principal becomes incapacitated. A Living Will is a document in which a person can provide detailed instructions to their Health Care Agent as well as their treating medical professionals as to what types of medical treatment should be administered or withheld should the individual suffer an end-stage medical condition or other extreme irreversible medical condition which is likely to be terminal. With a Durable Health Care Power of Attorney, you (and not a Court) decide who will make medical decisions on your behalf if you become incapacitated and are unable to do so. Without a Durable Health Care Power of Attorney your loved ones would not be able to make medical decisions on your behalf but, instead, would have to petition the court to have a Guardian appointed to do so. Such a proceeding is both costly and time consuming and you lose control of who get appointed to act on your behalf. Treatment to relieve pain or provide comfort. Artificial (intravenous or IV) hydration or feeding tube. Do not resuscitate (DNR) orders. As you might guess, the healthcare power of attorney could be the most important of the three essential legal documents (Will, Finanical POA and Healthcare POA) every person, regardless of age or wealth, should prepare. Recently, a man at church stood to speak to the congregation to thank them for their support while his father became ill and then passed away. He spoke about how difficult the journey was, but that the process was made even more painful because his dad didn’t have his legal affairs in order – no will and certainly no powers of attorney. They spent precious time attending to legal matters when they could have been supporting one another and spending time with the family. (In addition, there’s often some feelings of guilt if healthcare decisions have to be made without being sure about the person’s desires.) He closed by saying, “If you love your family, be sure to protect them from the additional pain”. If you wonder whether you need a Durable Health Care Power of Attorney and Living Will, want to update an existing Durable Health Care Power of Attorney and Living Will or have other legal needs/questions make contact today.